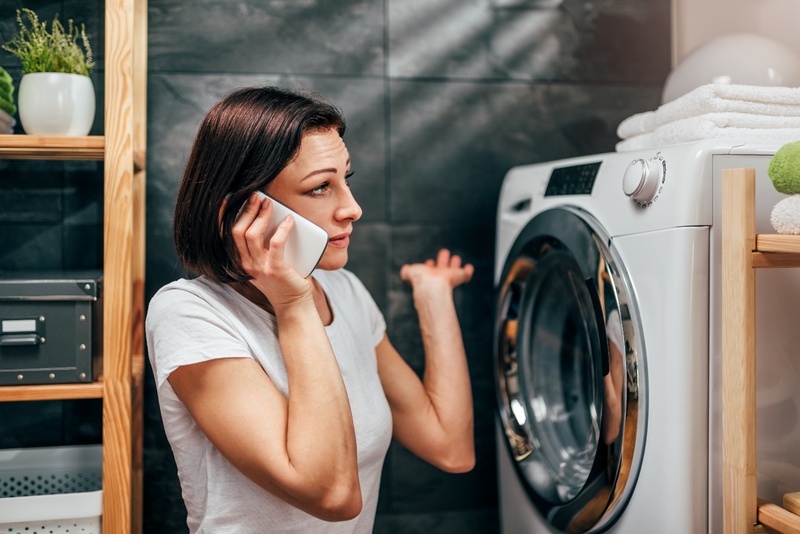 We've put together a step-by-step guide to washing machine diagnosis that addresses some of the more common issues you may encounter. This will help take some of the guesswork out by confirming that you're not imagining things, the potential problems that you should look for, and even what parts of your machine to check. Of course you should expect that when you put dirty clothes into your washing machine, they'll come out clean. Experiencing a level of cleanliness that’s below your expectations is actually a pretty common issue. If you've noticed your clothes are dingy, stained or smelly after the wash cycle, you might have a seized-up detergent tray. There's a line that runs from the detergent tray to the drum, and it can become clogged with detergent. This means only a small amount of detergent is reaching your clothes. You can bypass the detergent tray and put your detergent directly into the drum before adding clothes and water. If your clothes come out clean after doing this, you'll want to clean your machine. Remove the detergent tray and soak it in hot water to dissolve built-up detergent. Scrub with an old toothbrush, rinse and let it dry before putting it back. Wipe down rubber seals with a damp cloth. Fill your machine with hot water and add a washing machine cleaner or four cups of white vinegar plus one cup of baking soda. Run the machine for five minutes, then let it sit for one hour. Finish the cycle and wipe the drum dry. Washing Tip—using too much detergent can create excessive suds that leave dirty residue in the drum and other parts. This might be just an annoyance or it could lead to bigger problems. Have you noticed that your washing machine moves every time you do a load of laundry? Vibration during the wash cycle could mean your load was unbalanced, that he washer legs are not locked or the washer is out of level. Stop the wash cycle and rearrange the laundry so it's more evenly weighted. If you constantly run your machine unbalanced, you can severely damage the drum and internal components. Adjust all four legs/feet so the machine stops rocking. Tighten the nuts to keep them from moving. Put a piece of plywood under the machine to keep it level if the floor is sagging. This problem only relates to front loaders as they must stay tightly sealed during the wash cycle or water will pour out. At the end of the cycle, the door should automatically unlock. If yours didn't, there could be one of several underlying reasons. The lock may be jammed with a piece of clothing, there might be a problem with the washer's computer, or the machine isn't draining properly. This would safeguard against water flooding your laundry room. 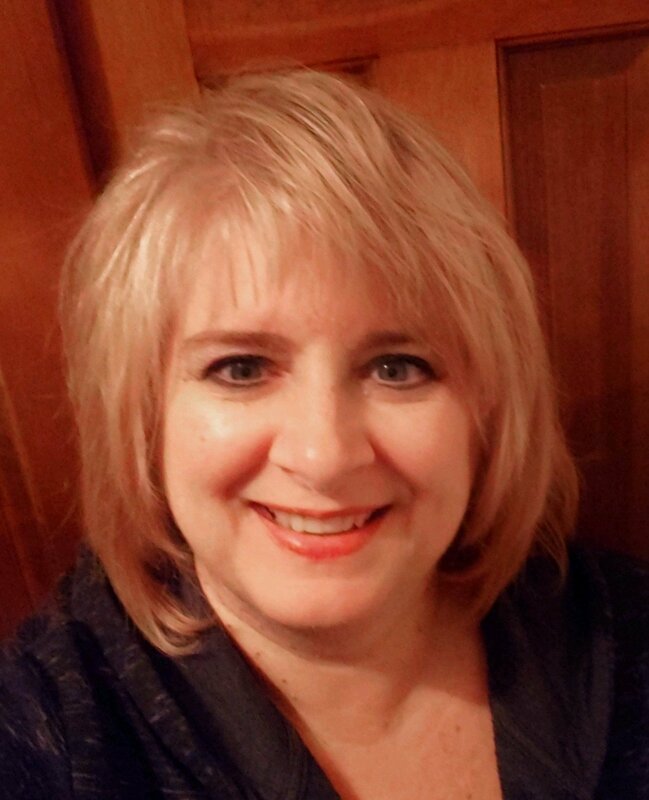 A digital problem could require you to reset the system. To do so, unplug the washer for 60 seconds. This will reset the master system and hopefully, unlock the door. Try running a short wash cycle to free any clothes that are jamming the lock. Look at the drainage hose to be sure it isn't clogged or kinked. If it is, flush out the hose with water or un-kink it. Try to run the cycle again to see if the water drains out of the tub and unlocks the door. 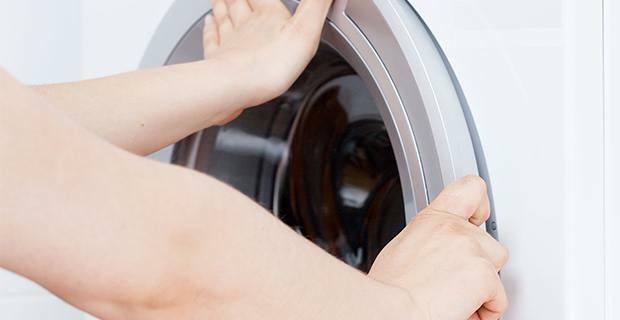 Sometimes the only solution to your washing machine problems is to call in a professional. A member of the Puls professional repair team is ready to provide an in-depth diagnostic for just $79, which is waived when you carry out a repair. No worries about waiting weeks for the repair as we can schedule your appointment at a convenient time for you, as soon as the same day. All our technicians are trained to work on all washing machine brands and models. We keep a supply of repair parts on our trucks to handle common problems so you'll be up and running soon. Puls also offers a 90-day guarantee on all parts and labor, so you can be sure we'll be back if there's another issue. You can also click here for 5% off your first service with us. 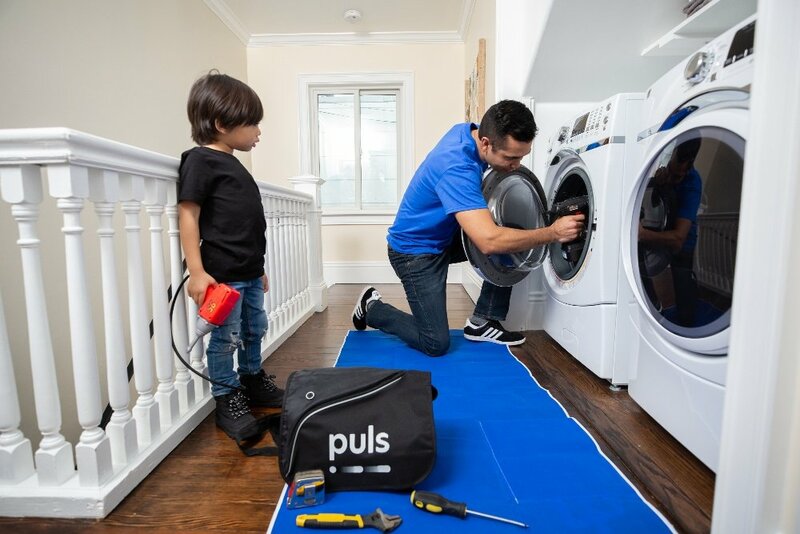 Don't waste another minute washing clothes by hand, schedule your appointment with a Puls representative today - you’ll be glad you did.